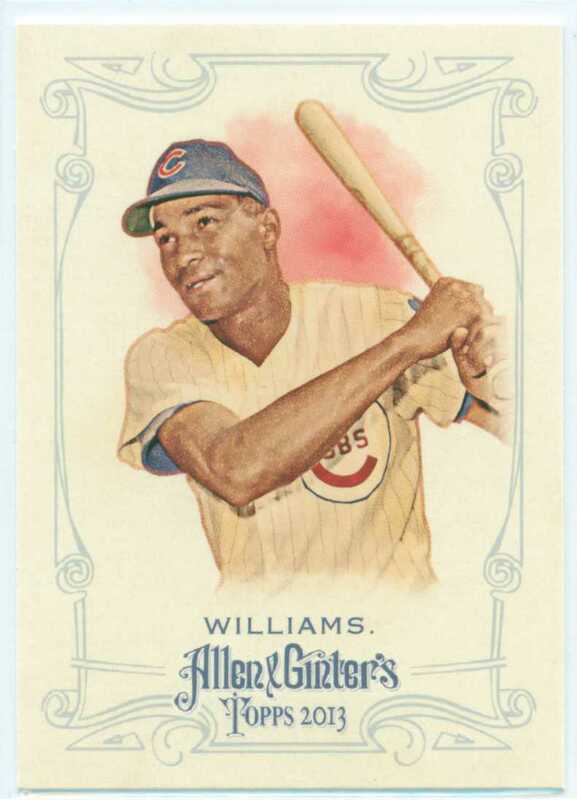 After showing off my Ernie Banks card from the 2013 Allen & Ginter set yesterday, I figured that it made the most sense to grab my Billy Williams card and get it on the blog quickly too. Obviously, the design is the same. But, there is one major difference – the Red background versus the Blue. And you know what, the Red is not that bad. The 3-D effect is still achieved, and the Red also works with the Cubs’ color scheme. I was so excited to see that Topps included Williams in this set – in my opinion, it was long overdue. Mr. Williams had a nice hobby year in 2013, and for fans of the Cubs’ legend, we were treated with the opportunity to expand our collections and checklists. This entry was posted in Billy Williams Collection, Chicago Cubs and tagged 1961 rookie of the year, 1961 ROY, all-star, baseball, baseball cards, Billy Williams, Billy Williams Collection, billy williams day, Chicago Cubs, Cubs, Hall Of Fame, HOF, most valuable player, MVP, Rookie of the Year, ROY, Wrigley Field. Bookmark the permalink.